Listen to "The Soul of A New Machine" on your iOS and Android device. 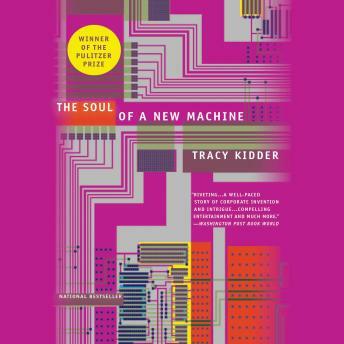 Pulitzer Prize winner Tracy Kidder memorably records the drama, comedy, and excitement of one company's efforts to bring a new microcomputer to market. Computers have changed since 1981, when The Soul of a New Machine first examined the culture of the computer revolution. What has not changed is the feverish pace of the high-tech industry, the go-for-broke approach to business that has caused so many computer companies to win big (or go belly up), and the cult of pursuing mind-bending technological innovations. The Soul of a New Machine is an essential chapter in the history of the machine that revolutionized the world in the twentieth century.